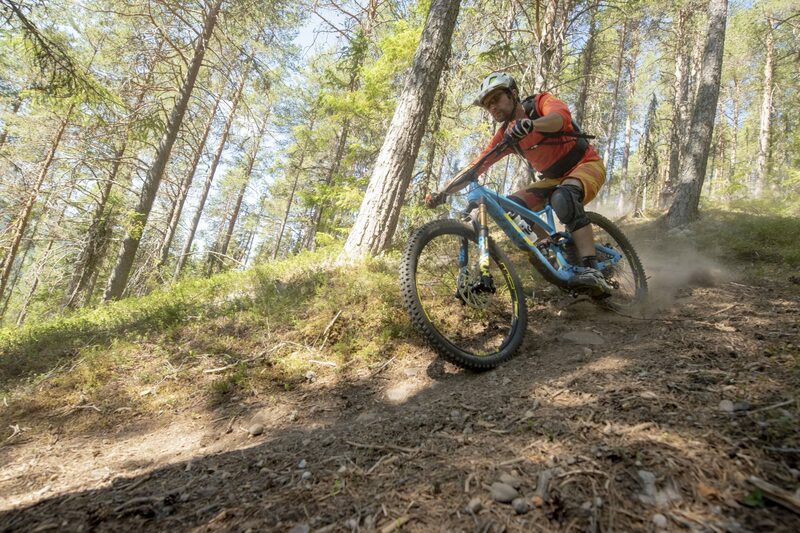 After riding the Sensor, it was then time for a turn on the Force, the new All Mountain/Enduro model from GT. 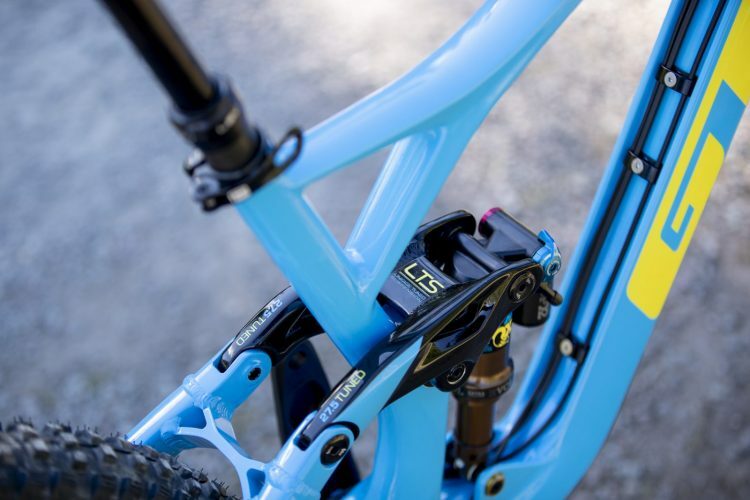 Completely redesigned, the Force also adopts the new LTS suspension scheme, definitively abandoning the I-Drive system. 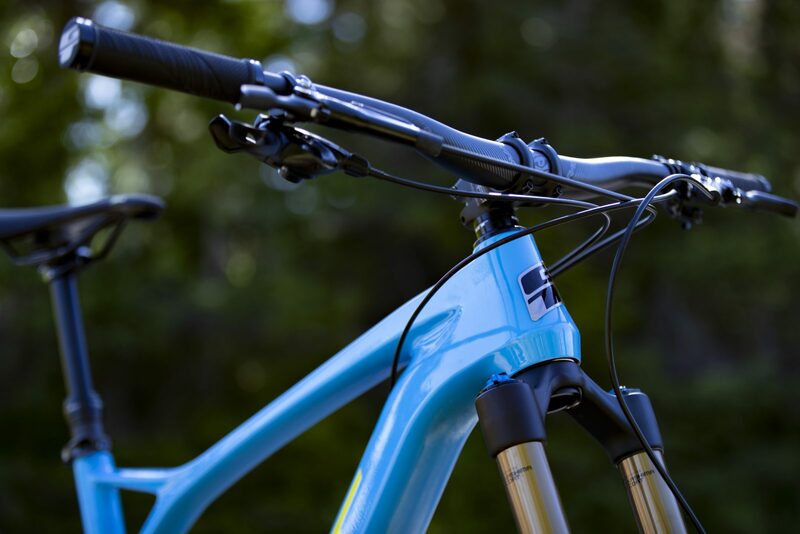 The Force boasts 150mm of rear travel and 160mm at the front. 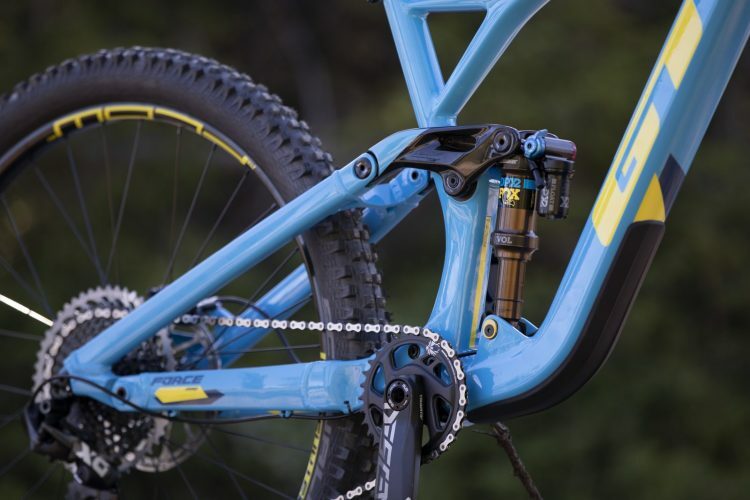 It fits halfway between the All Mountain and the Enduro category, just like the old version. The wheels are 27.5 “ with wide clearance out back allowing riders to mount tires up to 2.6″ wide. In terms of details, the Force chassis is very similar to that of the Sensor: Boost 148 × 12, and there is the flip chip to change the geometry. The carbon versions always feature the external cable routing with the groove tube, the down tube is grooved for the passage of cables in the recess, which aesthetically is quite pleasant, but present only on the carbon frames. Speaking of geometry, as in the case of the Sensor, we find a rather relaxed head tube angle (65 °) combined with a very steep seat angle (75.5 ° -76 °). The length of the chainstay is not the shortest, but is definitely up there with modern trends, as is the reach. Like the Sensor, the force also uses excellent rubber protection on the downtube and on the drive side chainstay. The shock absorber is metric sized with a Trunnion upper mounting rotating on bearings. Available in 4 versions, 2 carbon and 2 aluminum and, like on the Sensor, the Force rear triangle is fully aluminum, which is always provides the best resistance to impacts and helps reduce the cost. The first impression you have on the saddle is that this is a compact bike. Actually it is not as long as some other bikes in the AM/Enduro category have us accustomed to, certainly thanks to the very vertical seat angle that puts you in a very forward position. The ride began with a steep climb and immediately we noted the effect of the super vertical seat angle: the bike climbs everywhere, hardly prone to feeling slouchy. 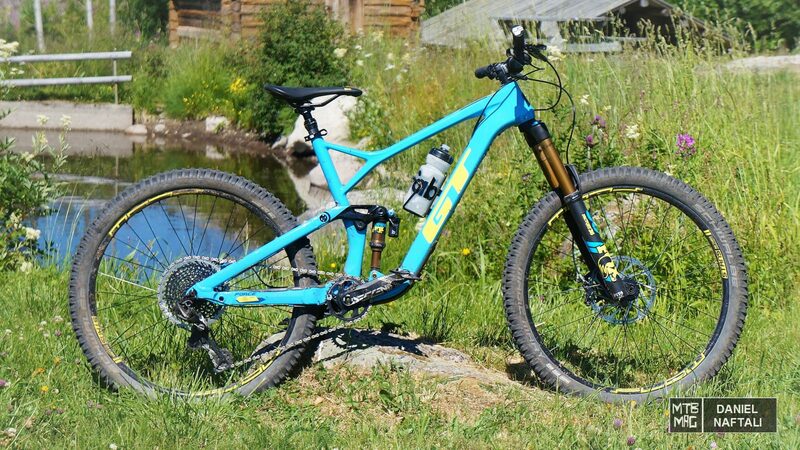 A very, very appreciable attribute on an AM bike where many modern enduro bikes can fall short. At the rear suspension level, what is surprising is the excellent ability to absorb obstacles. Above all on technical climbs, the Force is excellent at just motoring on. 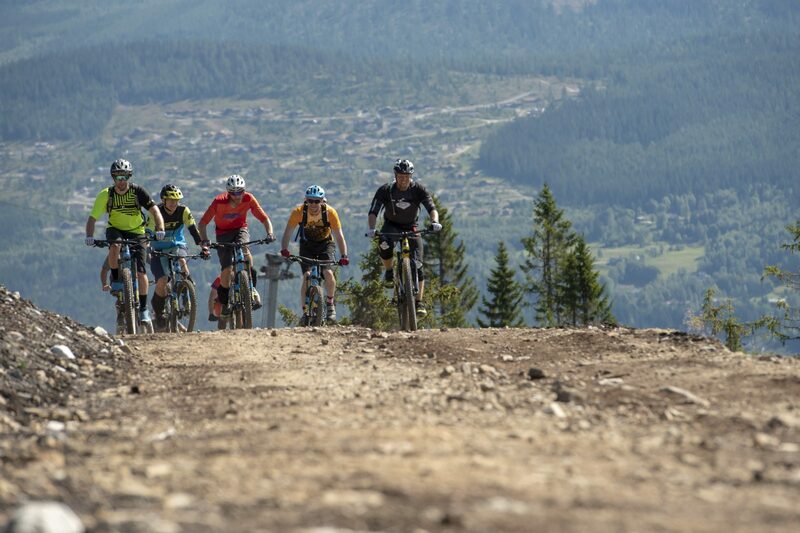 This feature is perhaps in part at the detriment of stability in pedaling on firm, smooth surfaces (but the trail and firm positions on the suspension cater to this problem)…In addressing the long technical climbs full of roots on Trysil’s singletrack, the excellent ability to absorb the obstacles of the Force was much appreciated. We faced the same uphill technical singletrack, first with the Sensor, then with the Force and, despite the additional travel and smaller wheels, the Force was not fazed at all. Downhill the first impression is that of amazing initial bump absorption capacity. The suspension is definitely plush, it absorbs small and medium bumps with aplomb, making smashing through very rocky and rough sections more pleasant and not nearly as tiring. Of course, it does not behave like the old I-Drive suspension that literally “accelerated” over obstacles, but under braking it’s almost like it’s from another planet: the bike no longer becomes a runaway horse as soon as you touch the rear brake, in fact, the suspension always remains very active even during the heaviest braking. In short, it is no longer necessary to be as apprehensive with braking, the new Force is much, much easier to manage, very intuitive. In terms of maneuverability we were not disappointed at all. Of course the wagon is super short by any means, but the Force strikes a nice balance between stability and fitting into the corners nicely. The body position seemed rather central, with the center of gravity well positioned between the two wheels. After having tried it, even just for a day of riding, one thing is immediately evident: the Force is nice link between an AM bike and a full blown Enduro bike. 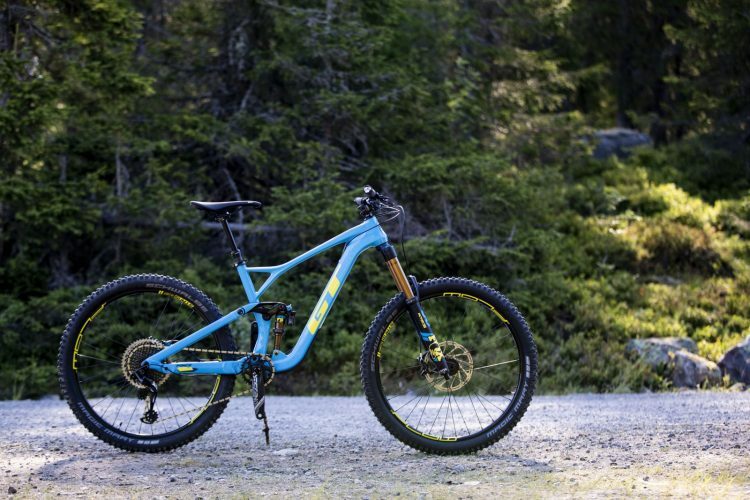 On the one hand you ride better than a modern enduro with 170mm of travel, on the other hand with very aggressive geometries and a very efficient suspension scheme, it descends significantly better than a typical 140mm AM. In other words, a bike that is very multi-purpose, not too downhill oriented, but perfect for those who, in addition to going down, earn it with their own legs, similar to the intended user of the old version, but with much different (read: better) behavior on the trails. A whole new bike!